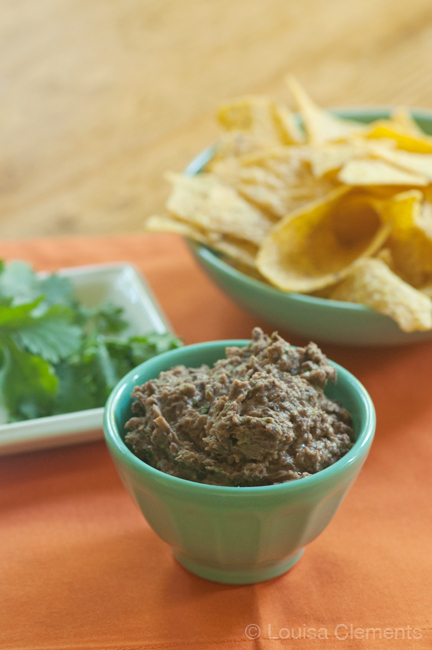 If you’re looking for a healthy dip to make for the week, this black bean dip is the answer. All you need are black beans and some spices, a little acid in the form of lemon juice and a bit of fat, in this case, olive oil. Just a quick whiz in the food processor and you’re done, the perfect Mexican-inspired bean dip to go with crackers or chips. I would eve add this to tacos or nachos instead of refried beans, it’s healthier and more flavourful. Win-win situation, no? I would say about 2/3 of the cooking I do on a weekly basis doesn’t end up seeing the “pages” of Living Lou. There are a lot of failed recipes, and a few dishes that are just in the moment, on a whim type dishes. Maybe I’m recipe testing for a future post, or just whipping something up quickly, but I do a lot of cooking outside of this space. It’s kind of liberating – a dash of this, a pinch of this, not writing anything down, just going with it. I love just cooking for the enjoyment and process of it. I find cooking to be one of the most rewarding things to do, because you always end up with a finished product. Now, it’s not always a good final product, but it’s something. A jumping off point to make changes and adjustments for the next test. That said, I wouldn’t worry though, I’m not cheating you out of any delicious recipes. The other day I made an awful pasta sauce that you definitely won’t want to try. This Black Bean Dip was one of those on-a-whim type of dishes, then I had my first taste and knew it was something I wanted to serve at my 1,000 Cooks for the Cure dinner party and post about it. A healthy dip option that is perfect for a party and is vegan? It’s the kind of crowd-pleasing dish that any party needs. Whether it’s a fundraising party or a Super Bowl party or if you’re sitting down with a couple of friends to watch the most recent NHL game. This is the kind of protein packed snack you will be proud to serve to anyone, and I guarantee they’ll all love it. Now this black bean dip might not be the prettiest dip out there, but it is delicious. I think the most important part of any dish is the flavour and looks come in a close second, but if it looks goods but doesn’t taste good, I won’t want to eat it. For this dip, it’s the combination of cumin with chili powder and the secret ingredient, is chipotle chili powder. I love the smoky notes the chipotle chili powder gives this dish so definitely don’t skip out on that ingredient. I opted for lemon here for the acidic element of this dish, it helps to brighten and tie the flavours together, but you could also use lime. Combine all ingredients in a food processor and process until desired texture is reached. Give this black bean dip a try for a healthy snack. Hello. I've never had a black bean dip before, but I think I may need to give this one a try! Cheers!! 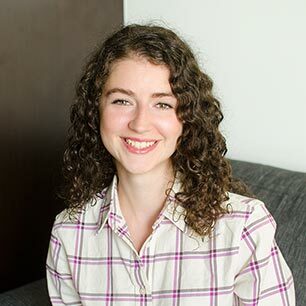 Thanks for stopping by - let me know if you give it a try! I love how versatile black bean dip is - great with chips, but I love to put it in my tacos and wraps!